Asthma is a chronic and life-threatening disease that affects your airways. Asthma occurs when the airways in your lungs (bronchial tubes) become inflamed and constricted. The muscles of the bronchial walls tighten, and your airways produce extra mucus that blocks your airways. 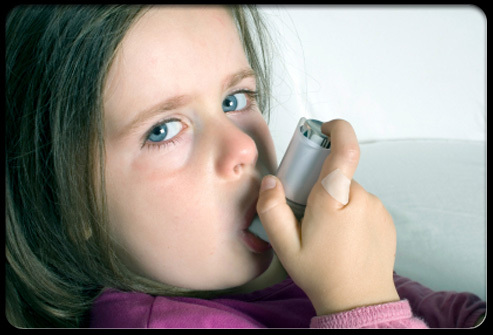 Signs and symptoms of asthma range from minor wheezing to life-threatening asthma attacks. Homeopathy is a system of medicine that supports the body?s own healing mechanism, by means of specially prepared remedies. It is possible to treat asthma with correctly selected Homeopathic medicines. However, it involves careful study of every episode to evaluate the cause that might have precipitated the attack, the exact symptoms, and the factors that make the attack worse or better. Every patient suffering from Asthma experiences it in a different way: with exertion, when apprehensive, when outdoors, in summer, in winter, on waking, after eating, etc. Asthma cannot be cured by allopathic medicine, but its symptoms can be controlled. Persons treated with Homeopathy may be saved from using heavy doses of inhalers, steroids and bronchodilators. A natural homeopathic medicine for control of the symptoms of asthma and bronchitis, including difficulty in breathing, shortness of breath, tightness of chest, wheezing or coughing. - You can permanently get cured of asthma.